Justin Wright - Music For Staying Warm. Vinyl LP. Bleep. Music For Staying Warm, the debut LP from Justin Wright, started life as a series of pieces Wright composed for the relaxation room of an all-night event. It was Winter in Montreal, where the average nighttime low is around -9°C, and he felt the need to create music that gave listeners a sense of refuge. 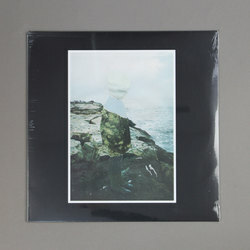 As such, much of Music For Staying Warm exists in an ethereal space between chamber music, ambient composition and drone. Using only string instruments, Wright’s dreamy offerings are not dissimilar to the most serene parts of Oliver Coates’ discography. Music For Staying Warm is an excellent debut from the former Colin Stetson/Jóhann Jóhannsson collaborator.